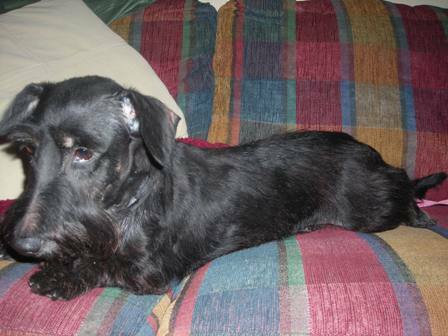 Baxter is about a year old, a Scottie and Wire Haired Dachshund mix. He is as sweet as can be and loves to be loved. He seems to be good with other dogs, not sure about cats. He is neutered, and up to date on shots. 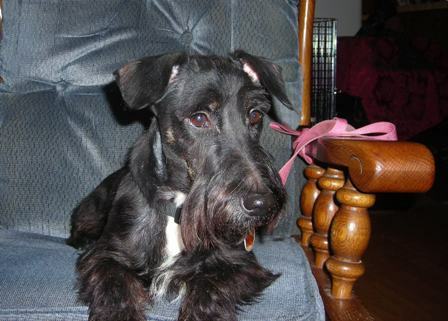 Baxter needs a home with a traditionally fenced yard. If you can provide Baxter with a wonderful new home, please fill out the online application and indicate that you are interested in Baxter.